Former President John Mahama is expected to hit the road running as he embarks on a four-day tour of the Central Region. 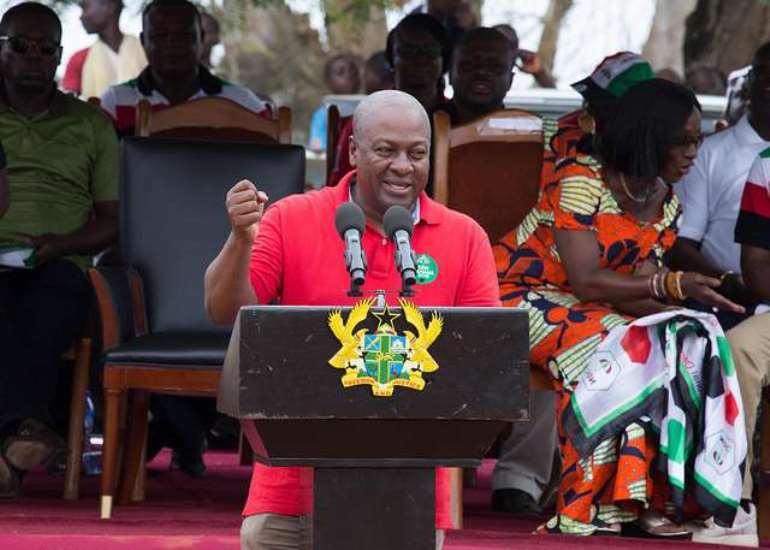 The tour forms part of his preparations to canvass for votes to lead the National Democratic Congress (NDC) as its flagbearer for the 2020 elections. He is expected to meet key stakeholders and delegates of the party in the region. The tour dubbed, “Itinerary for JM’s Campaign Tour in CR”, is expected to touch base with all the districts in the Region. Among those who have indicated their interest to lead the NDC are Dr. Ekwow Spio Garbrah, Prof Joshua Alabi, Sylvester Mensah, Elikplim Agbemava, Kweku Ricket-Hagan, Goosie Tanoh, Alban Bagbin and former President John Mahama.